Let’s face it, the odds of three sane people enjoying one another’s company for a week on the road are remote. Remote like Greenland. At its most northerly point. Take my clan, for example. There’s me, a fifty-something hack with a hatred of shops and nightclubs; my younger wife with a passion for both of the aforementioned; and a 16-year-old daughter, who’s well, 16, so go fathom. It’s quite possibly the last family holiday we’ll take. University beckons next year, and she’d much rather hang out with her ‘squad’ than be embarrassed by my ‘dad jokes’. So, we’ve decided to go out in style, possibly suicide. A week touring Italy—doing it in the most Italian manner we can, staying in the most opulent of properties, and driving the most impossibly Italian car 25 years of journalism can grant me. be one of them. It’s even captured my daughter Anoushka’s attention. Hmm, maybe Dad isn’t such a square. What’s more astounding about the gathered crowd is that this is Bologna, the home of Lamborghini since they started manufacturing tractors for an intensely arable community in 1948. In Bologna, Lambos are ten a penny. But, the Urus is something different, a departure from their strictly two-seat supercar notoriety. This is an SUV. And it’s some entry. Fire it up, and it sounds like a T-Rex with haemorrhoids. My wife, Sushmita, is perplexed with the fuss, but happy that all six of our cases fit snugly aboard the Urus. Hers are largely empty at this point, soon to be filled with whatever boutiques she can trawl in Venice, Florence, and Siena. Our first stop is Venice, two hours north of Bologna and a good mix of urban sprawl and convincing dual carriageway for us to get to know the Urus. I’m still glad it’s a Sunday, though—quieter on the roads, while I get used to piloting a 650BHP jet fighter. Anoushka rides shotgun for the first haul, happy to plumb in her phone’s Bluetooth and kick in the B&O stereo. Drake, or some other nonsense, fills the cabin. It feels rather apt—I can see quite a few of these two-tonne monsters finding themselves on the driveways of rap stars and professional footballers. The Urus eats kilometres, and soon, we’re bounding north through a tapestry of cornfields and distant spires. 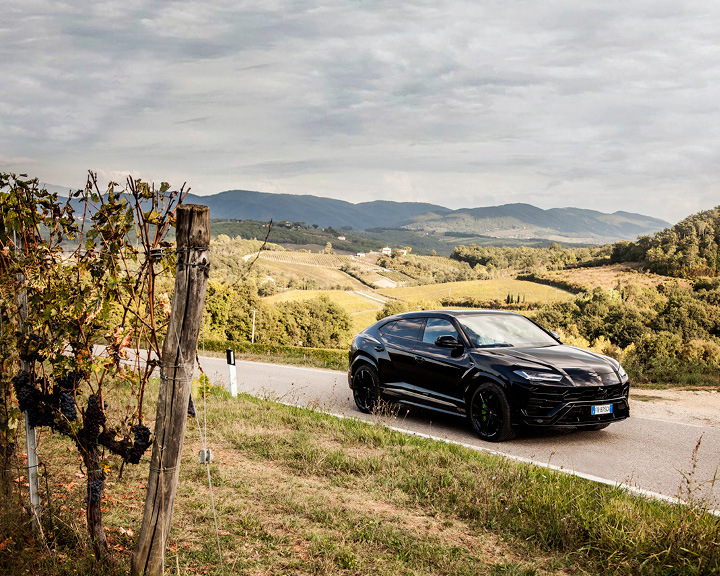 Italy is a joy to drive through, the Urus equally to drive. We reach a toll gate, and I realise just how much car this Lamborghini is. It’s so broad, I wonder if we’ll fit through the lane. We do. It dwarfs the Porsche Cayenne—makes it feel diminutive, unnecessary. On the other side of the toll, we decide to see what the car’s capable of from a standing start. This means changing engine mode from Strada to Corsa. The Urus has six dedicated modes, Corsa the most lethal of them. It snarls. The LCD dash changes too, letting me know just how much torque, how many revs, in big red blocks. Now just stab the accelerator and bang. We’re gone in one almighty growl and a roar. My wife giggles as the seat belt constrains her and we rip from 0 to 100 kmph in 3.6 seconds. The frightening part is that it can keep doing this, all the way to 305 kmph. The reassuring part is that the Urus handles it all with consummate ease. It’s then I realise, I’m the fastest man in Italy. With the fastest family. And we haven’t had one row yet and barely a raised voice. Drake did get us close though—too many decibels. The Cipriani has a reputation as the finest hotel in Venice. Certainly, its guest roster and celebrity quotient of the satisfied cannot be argued with. It’s a who’s who of Hollywood movers and shakers, presidents, and prime ministers. We drop the Lamborghini at the Cipriani’s personal boat service. Another crowd gathers. But we’re away, snaking through the Grand Canal on the Cipriani’s mahogany cruiser. Whipping up a surf past the Accademia, before heading out beyond Saint Mark’s towards the small, kidney-shaped islet of Giudecca and the Belmond Hotel Cipriani. It takes a lot to rival our drive from Bologna, but the boat ride across the open water, bouncing against the glistening tide to the Cipriani’s jetty, takes some beating. It’s just the most glorious way to arrive at a hotel. Period. But, we have no time to waste, and even in a car as fast as a Lamborghini, we’re still running on Indian Standard Time and we have a date with St. Mark. On previous trips, we’ve always baulked at the crowds baking in the sun. It’s a surefire way of kicking off a domestic, and it’s fair to say that neither Mr. nor Mrs. Clays has much of a penchant for patience. Fortunately, the Cipriani has arranged for a tour guide and fast access to the basilica. No queueing, and the Cipriani’s ferry service means that within 15 minutes of being introduced to our guide, Teresa, we’re standing inside St. Mark’s Cathedral. I’m expecting a pedestrian circuit of the basilica and figure that in the limited time we’ve got, St. Mark’s lite will be snappy enough to keep a teenager from distraction—a quick canter around the Stations of the Cross and we’re out. Box ticked. But, no, what Teresa tells us next is straight out of a Dan Brown novel. Fascinating heresy at its swashbuckling best. “There is some evidence to suggest that the relics of St. Mark are in fact the bones of Alexander the Great,” she declares. Curveball. It seems that the bones of St. Mark were smuggled out of Egypt by two Venetian merchants in 828 AD. But had the bones taken on a new identity in the centuries past? By the fourth century AD, paganism was illegal, but what better way to hide Alexander from the Church than to have him interned right under their noses, as Mark. If all this sounds a little far-fetched, there are three compelling facts to bear in mind. One, Alexander’s mummified body has never been found; two, Mark’s body was written to have been burnt to cinders, post his martyrdom; and three, a large stone with the seal of the Macedonian Royal Family was found very close to the crypt of St Mark in Venice. It’s this side of Venice we want to uncover. 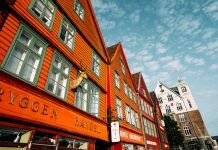 Its undiscovered side, far from the droves of tourists and trinket shops selling tat. The Cipriani is the perfect escape. A stellar oasis with all the sass of Sophia Loren, the rock ‘n roll of the Stones, but the decorum of Henry Kissinger. 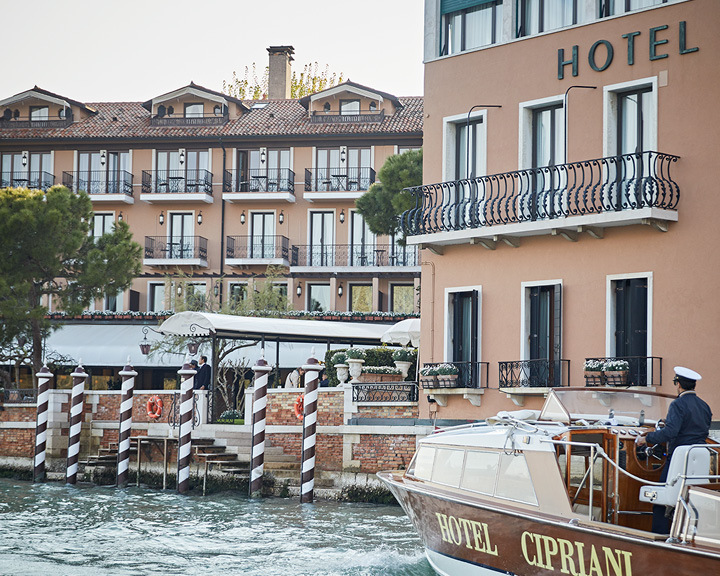 Whether you’re sipping their trademark Bellini around the city’s most extravagant pool, or grazing at Cip’s Club with views of the basilica, the Cipriani is everything a European hotel should be. The next morning, following breakfast in the garden, we board the Cipriani’s private launch with the promise of even more of a walk on the wild side. Our boat comes packed with a full bar, snacks, and a captain who’s eager to please. 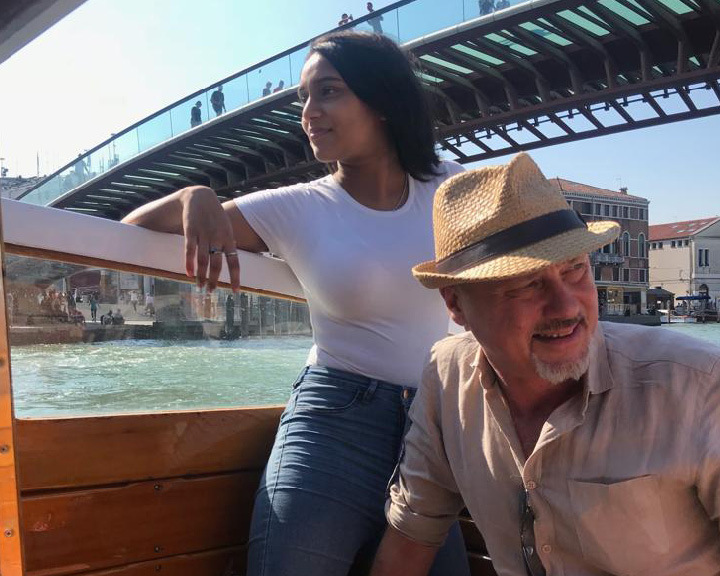 It’s no more than a nautical mile before Anoushka’s powering the boat across the waterway to uncover some of Venice’s best kept secrets. Who needs a Lamborghini, anyway? Most of us have heard of Murano and the skills of the artisan glass blowers of the island. What most don’t know is that 80 per cent of the glass sold as Murano in Venice, sadly, hasn’t ever set foot on the island. It’s worth the boat ride over just to see the last of the masters at work and get yourself something that hasn’t spent the last few weeks on a slow boat from China. 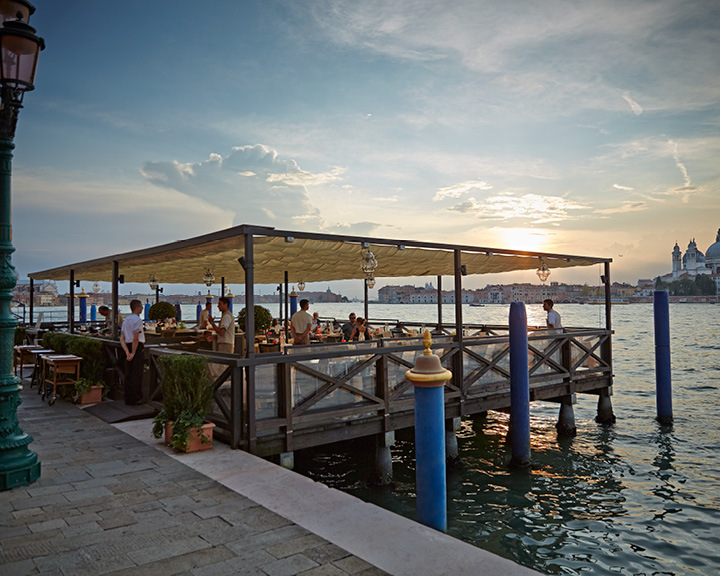 If time spent in Murano’s scorching kilns is enough to give one the devil’s thirst, then an hour’s wine-tasting at Orto at Sant Erasmo, the other side of the lagoon, is the perfect way to quench it. Orto means garden and is the brain-child of Frenchman Michele Thoulouze, and we are invited to a tasting. There’s none of the usual pageantry that can accompany wine-tastings; a chemistry lesson blended with the alchemy of alcohol, Michele’s take is as simple as the wooden picnic table we sit and drink at. He makes one wine, and all his effort goes into producing the best grapes possible, then the wine is cleared in the cool waters of the lagoon. Then you drink it. He’s as French as you get. Smokes Gitanes cigarettes endlessly, has a passion for wine and a passion for life. Maybe it’s the fuzzy sunshine, maybe the grapes, but it seems to me the world needs more characters like Michele willing to take a risk on a pipe dream. He’s an endangered species. And his wine’s damn good. 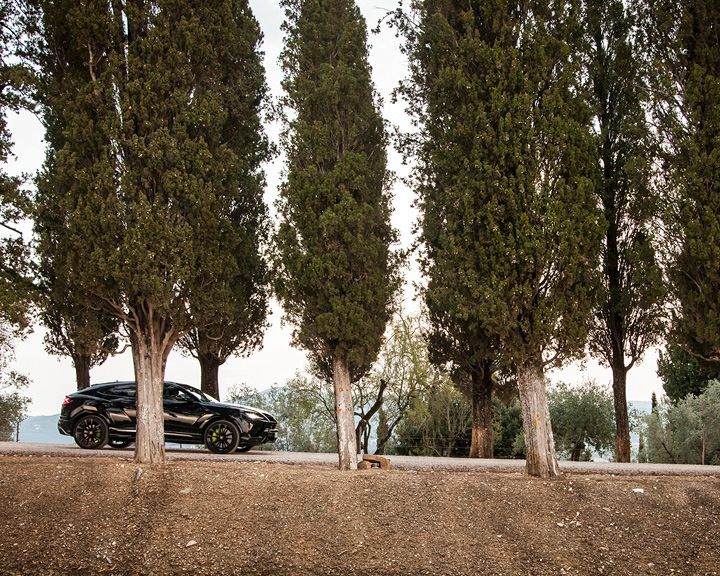 The next day sees us back in the Urus and charging the Bull at Florence. 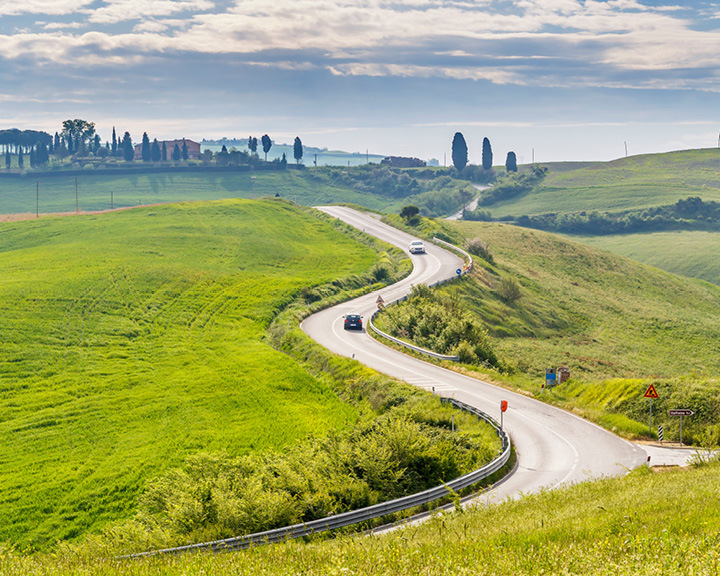 It gives me time to get more accomplished with the eight-speed automatic box and more accustomed to the steering on some Tuscan village roads. The steering’s light with just a touch of understeer, but incredibly well balanced. 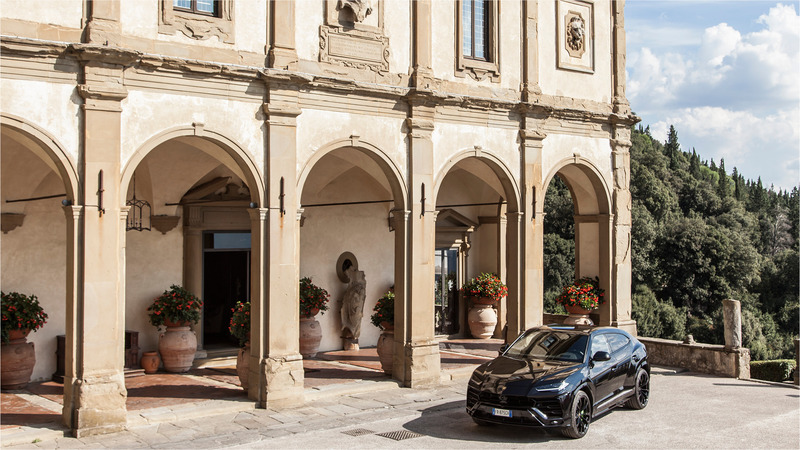 The Urus makes light work of the Tuscan sun, and we reach Villa San Michele without breaking a sweat. It’s a converted 15th-century monastery whose portico entrance was designed by Michelangelo. It’s stunning with breathtaking views of the city and the Duomo. Tomorrow, we’ll be going off piste once again with a tour of Florence’s underground art scene. But tonight, it’s dinner at the hotel’s superb restaurant, La Loggia, for local Tuscan cuisine—the turbot with artichokes is so good my wife forces me to exchange it for her sea bass, digested with an excellent local chianti and the last blushes of a pink sunset. I was sceptical about the street art tour but the hotel’s complimentary shuttle into the city meant we had nothing to lose. Besides, if it was really street, surely it might appeal to Anoushka, if no one else. My scepticism is soon sent scuttling back to the blank canvas it came from. We all realise that there’s something important happening in Florence. A movement in art here that’s reflected directly onto the streets we walk and back at the lives we live. In many ways, it’s as important as the Renaissance art that’s now cosseted in the Uffizi. Under lock and key. Unfortunately, for the street art and it’s largely Accademia-trained artists, the same cannot be said of their contributions. 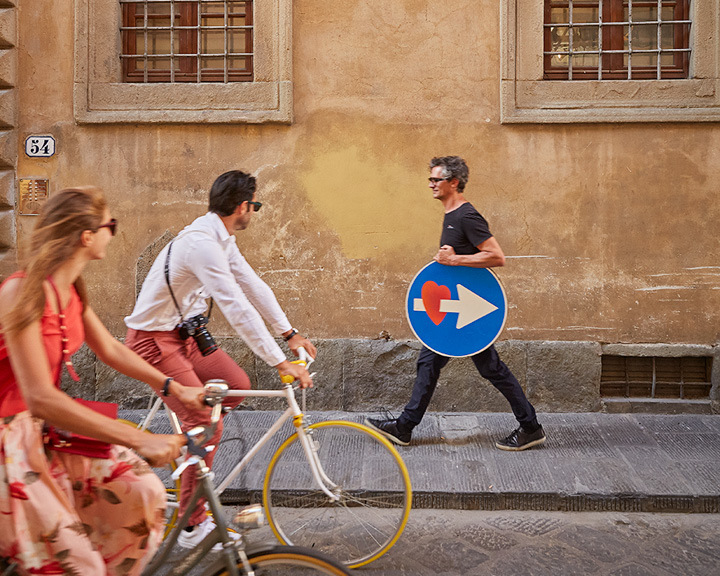 It lives on the street—on waste-paper baskets, mailboxes, street signs, and of course, the walls of the labyrinthine back streets of Florence. It’s vulnerable—to local councils, to stupidity, to the weather even. had motion. He was alive and patrolling the river. Sometime later, he was found on the fringe of the city, having been reported by frightened locals and presumed to have escaped from some zoo. Art, more than mimicking life. But we have no time to tarry; we have to head further south, beyond picturesque Siena, to our next port of call. By now, I’m so familiar with the Urus that I’m almost nonchalant. Instruments second-nature and control is natural. The calls for Corsa over Strada, more frequent. 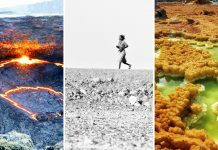 We burn through a lot of fuel. a trip. On reflection, there’s barely been a raised voice for the last week. I wonder if it’s all things Italy, or maybe, it’s all things family. I also wonder if we can sneak just one more holiday in before our daughter flees the nest next year. Tempting fate? I don’t think so. Are you listening, Lamborghini?